Vivian warming for morning workout. This awesome 15 year old is from Ecuador. Vivian’s father signed her up as a member of International Christian Tennis Association when she was just 11… and now here she is training with us full time! For me, personally, it is very special to have Vivian here. She is part of a new tennis generation that has known about ICTA since they were very young! To them, ICTA is a normal part of tennis. 10-12 years ago…we weren’t! But, now, kids worldwide have known about ICTA for the majority of their lives. That’s pretty cool. 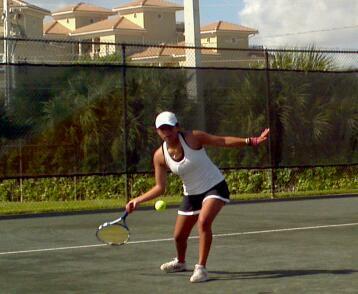 Vivian will train and travel with ICTA Women’s Pro Tennis Team to ITF pro circuit tournaments. Her father, though he misses her tremendously, is very happy she is here…and that God is impacting her life in such special ways! Really proud of these two guys! Have coached and discipled Mark (left..from Mexico where his parents plant churches) full time for 4+ years and David (aka: Aussie..from Australia) for 3+ years. 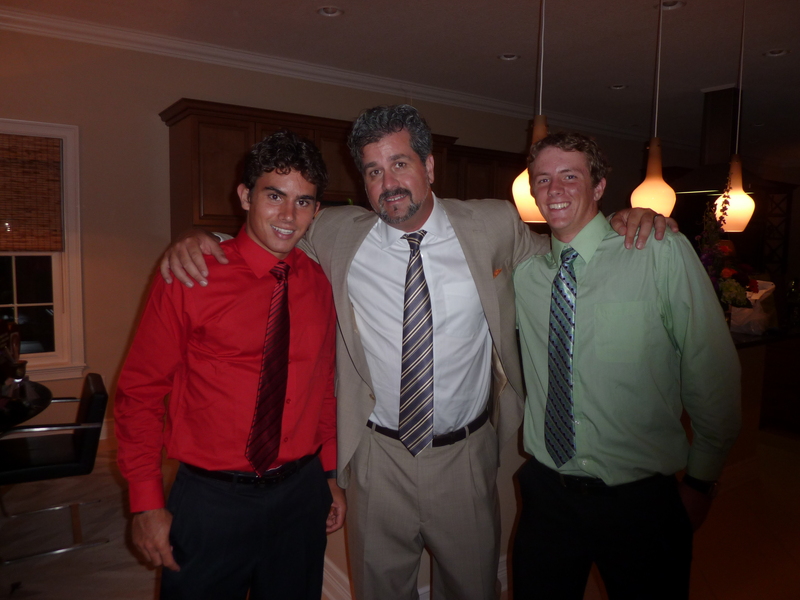 Both are now in student leadership positions with International Christian Tennis Association and are founding members of the ICTA Men’s Pro Tennis Team. 2010 has been an outstanding year for International Christian Tennis Association. Mark and David are a shining example of how God is working in and through our little Christian sports ministry. During the next week I will write updates for you here in this ICTABlog post. 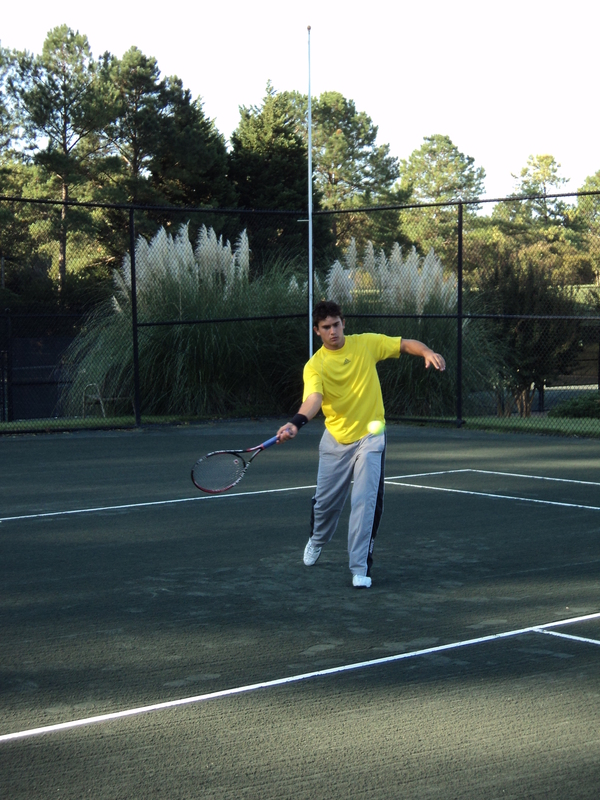 Mark warming up Anastasia @ ITF $10,000 Pro Tournament in Williamsburg, Va. Ana was #3 seed singles and #1 seed doubles. Mark assisted me the entire week to develop his outreach skills & understanding of the ITF Pro Circuit. As many of you have noticed, I simply haven’t had the time to write blog updates like I used to. This article will help catch you up on all the neat stuff going on here the past few months with International Christian Tennis Association. Right now, I’m signing off to head out to the tennis courts to coach my Brazilian, Ukrainian, and Israeli players at a beautiful tennis location next to the ocean! Amazing video. I saw it and was instantly humbled. Especially when I first saw the living area for the Guatemalan pastor and his family, next to his church. What I’m writing in this section isn’t International Christian Tennis Association stuff. Yet, it’s something that has impacted me, thus affecting my life, and my work. My wife, Melody, brightening up the childrens' day with facepainting! My awesome wife, Melody, journeyed to Guatemala on a 10 day medical mission trip. She shot lots of great pics, and some videos..including this impactful video. A friend of Melody’s parents for 30+ years, Karen, organizes this trip yearly. Karen is an incredible person. Melody traveled to and through Guatemala with the entire medical missions team. Remember hearing recently about the rain storms pounding Guatemala..wiping out bridges, creating sink holes, and basically bringing the country to a standstill? 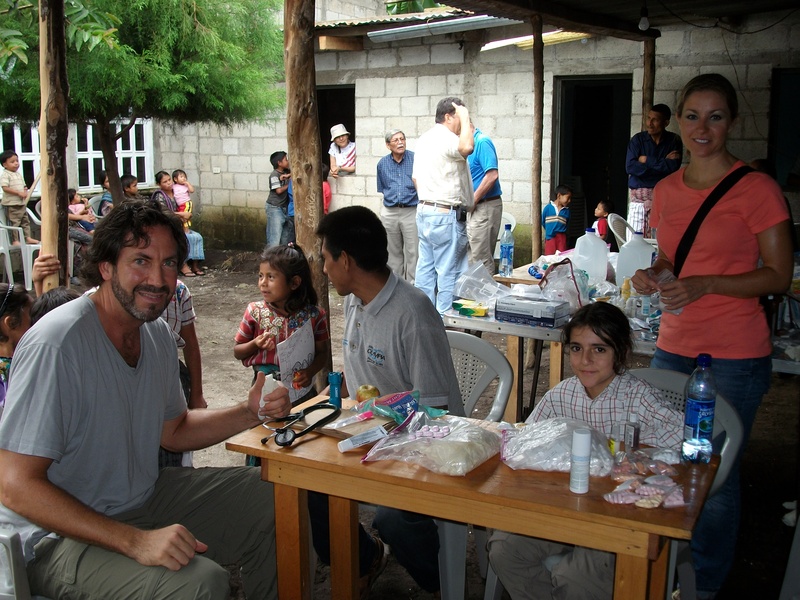 The medical mission team was in Guatemala at the time. Mel’s sister’s fiance (now husband), Kevin, was part of the medical mission team as the team’s medical doctor. My brother-in-law, Kevin, was the medical doctor for the outreach. 100's of Guatemalan received free medical care. Each was then prayed over! In addition to organizing the medical mission outreach, Karen organized an entire Pastor’s Conference. Like I said..she is incredible. The video above shows Karen and her team preparing the church for the pastor’s conference, the never-ending rain, and the living conditions for the pastor’s family. Like I said..I was immediately humbled. Not just from the living conditions, but also from seeing the love Karen has for the people of Guatemala. She could be at home watching TV…and complaining about life… like so many others. Yet, there she is in her 60’s impacting lives for the Kingdom. Literally..100’s of locals received free medical care!! Toys were given away..(and tennis balls!). Pastors had a conference to attend! Karen and the entire medical team is an inspiration for me. Alex, Ana, Aussie, Nik, Adam. Mel in front. Something pretty awesome our tennis academy students had the opportunity to attend was Student Leadership University! Student Leadership University is unlike anything you’ve ever encountered. Designed with the student in mind, they encourage these young leaders to commit themselves to excellence. SLU challenges students to develop the ability to rise above self, circumstances, obstacles, change and the crowd. Their aim is to equip, motivate, enable and empower students for present and future leadership in their schools, churches, teams, families and workplaces. SLU believes their training gives students a 20-year quantum leap on a global level that accelerates the students’ leadership decisions. Modeled after Fortune 500 corporate leadership seminars, each student is exposed to comprehensive programs focusing on leadership skills. These skills include time and life management, goal setting, dealing with conflict and difficult people, and developing a Christian worldview. The Dad of one of my full time tennis academy students is on SLU’s board of directors. As such, we were so blessed to have this incredible opportunity to attend SLU 101 at the Marriot hotel next to Orlando International airport. Here are some of the programs… and click here to learn more! Juan Jesus arrived home yesterday morning after spending a week in Houston. I would like to take this moment to thank God, you Scotty, Melody and all the beautiful people part of the team at Palm Coast for the opportunity of giving my son the gift of sharing three weeks at International Christian Tennis Association tennis camps. Yes, I am sure he is hitting the ball better, ( Alex was immediately improved in the tennis trial outs for his school when he arrived from ICTA) but also JJ has also matured positively as a young man and as a Son of God. One of his first comments was that he would like to go back next year for one month………..that says many, many things…. !